Kerala, Feb 06, 2019 : The Travancore Devaswom Board has informed the Supreme Court -- which is hearing pleas seeking a review of its decision to remove the entry ban -- of the change in its position, Yahoonews reported. The board that manages Kerala’s Sabarimala temple says it no longer against admitting women of all ages, and has informed the Supreme Court of the change in its position. 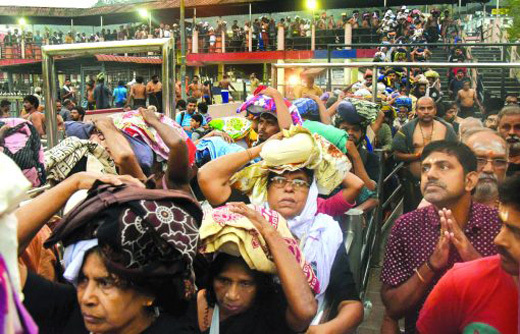 The Travancore Devaswom Board, which previously supported the Sabarimala temple’s ban on women of a specific age group, has told the Supreme Court that it has changed its stand.